The following are the supplements I found that worked (through trial and error and finally getting some coaching help) for my P90X Round 1. This is by far my favorite Beachbody supplement. It’s got hundreds of nutrients and supplements in it that help build muscle and reduce food cravings not to mention all the antioxidants and phytonutrients that help counteract free radical damage. After using this you will never go back to regular shakes as it makes you feel good. This supplement helps volumize the muscles with water so that they can draw more nutrients in to aid with recovery and muscle building. 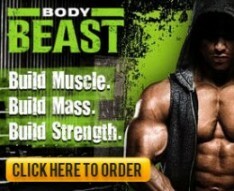 I get mine from GNC. It is important to cycle creatine, 2 months on and 1 month off. If you are unsure about using creatine, Google it and read multiple reviews. You will find out that you need a lot of protein to keep feeding your hard working muscles. I put a scoop in my morning and evening Shakeology shakes. I use EAS 100% Whey Protein from Sam’s Club. P90X Results and Recovery Drink! What's the fish oil do for you?